We take you from the tailgate, halftime and trophy presentation. 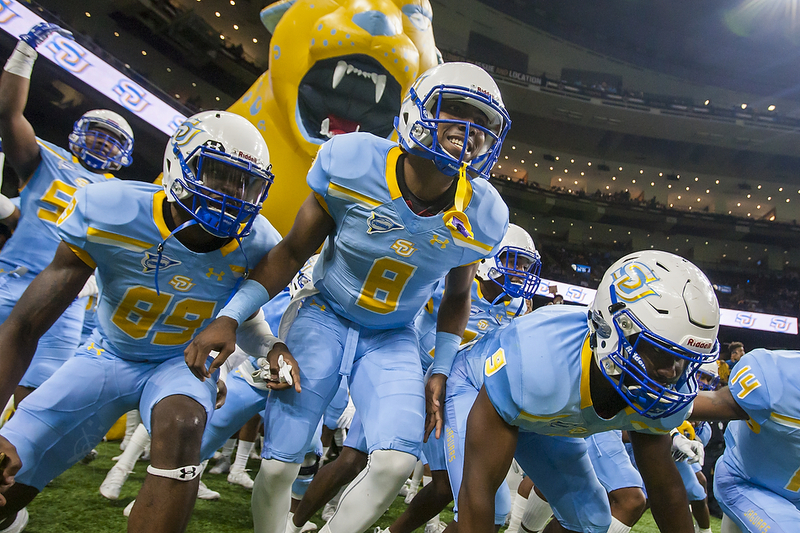 NEW ORLEANS–On the surface, the Bayou Classic has become the de facto SWAC Football Championship semifinal game. When you look at the entire scope of the event, the gravitas of the environment equals the significance of the game. Translation: the Bayou is the biggest spectacle in all of HBCU football. We partnered with photographer Nick Smith to bring you a photo sampling of this year’s classic. Before you even get to the game, if you go in at all, walking up to the dome puts you in the middle of a carnival. If you are hungry while reading this, we apologize in advance, these photos aren’t going to help the situation. The winner of the football game gets a big trophy. The winner of halftime gets the bragging rights. No one leaves their seat at halftime when the World Famed and Jukebox square off against one another. After all of that, there is still a game to be played. This year didn’t disappoint as Southern held off a fourth-quarter comeback to beat Grambling State.